Reporting is the essence of efficient project management. Without reporting you may as well take out the word “management” out of project management, because if you don’t know what the status of the project is, the resource availability and where the project is heading, your project is pretty much doomed. However, creating good project reports requires skills and consumes valuable time. The skill part is for the project manager to imbibe, but even a simple project management system can help you fetch multiple reports at the click of a button. Let’s dive in and discuss the various aspects of project reports that would improve the management of your projects greatly. 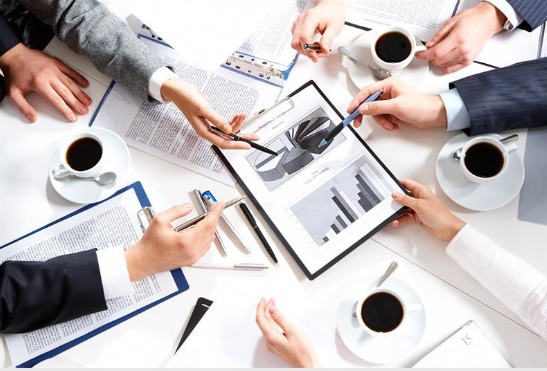 Reports help you track the status of the project at present as well as cumulative progress till date and assist a project manager in evaluating the performance of the project as well as convey the same to all stakeholders. Based on the current and overall progress as well as the initial expectations and scope, a project manager can plan the next steps that need to be taken with a solid reasoning behind them. Fetching reports timely provides a historical view of the overall project and allows the project manager to step back and reflect upon the positives and negatives to improve the performance of their projects. Reports inherently follow a quantified and objective approach in presenting the vital statistics of the project. This ensures that all stakeholders get a clear understanding of the matter at hand by eliminating subjectivity. With a clear and quantified understanding of the project, there are no hidden facts that may affect the project. This increases trust and maintains accountability. If you decide on making just one report for your project, this is it. Project status report provides comprehensive details of the progress and health of the project. It is essential to track several metrics of the project and is ultimately used to evaluate the execution of the project so far and the milestones achieved. Based on this the board/management can gauge whether the project can be delivered within the timeline and take appropriate actions to ensure the same. It is essential for the project manager and fellow team members to measure the availability and utilization of resources. Moreover, it is required for raising invoices from customer based on the total man-hours consumed. Timesheet report simply consists of pre-formatted fields like the person’s name, project’s name, date, planned tasks for the day and actual tasks performed. It is filled by each team member who is contributing in the project and the frequency may vary from daily to weekly or even monthly. It is valuable in gauging the contribution of each individual member against the overall project progress. How many times has it happened to you that a project deemed as successful turned out to be a loss-making proposition as soon as you got the project expenses in perspective? Well, it happens quite frequently. That’s why the importance of fetching expense reports frequently instead of just at the end of the project can’t be stated enough. It is your responsibility as a project manager to ensure that all of your team member’s expenses like travelling, supplies, food, etc are reported timely by the respective individual. This report helps project managers to envisage the team capacity and re-allocate resources to balance the workload for optimal use. Resource workload report presents metrics of each individual across all their assignments pertaining to single or multiple projects at once. Hence, it is an important report for project scheduling and budget allocation. It is common for project managers to handle a portfolio of multiple projects instead of a single project at a time. Many a times the situation demands them to get into the minute day-to-day activities of a particular project and they may lose the focus of the overall picture. Portfolio report is essential to get a bird’s-eye view of their portfolio since it provides a snapshot of the overall health of each project. This report is basically the summary of the risk profile of your project. Risk reviews promote an effective change management and continuous improvement, which is why they are an important part of any project management meeting. It is recommended to categorize various risks on their criticality to the project, so that the factors causing the highest risks are mitigated at higher priority. Although not a report in the true sense, Gantt charts are an effective way of visualizing the timeline of the project and the resources needed for it. Gantt charts are used to brainstorm the workflow as well as layout milestones, deliverables and break-down the project into smaller doable tasks. It is advised to frequently have a look at the Gantt chart for each project for monitoring progress and overall health. Earlier, getting highly-detailed and visual reports was quite difficult and required meticulous efforts. But, with the advent of Project Management Software, it has become a cakewalk. An online project management tool can help you create beautiful project reports in seconds. One-Click Reporting: Simply log in to your dashboard and click the report that you want to be generated. Voila! Easy Customization: Every project needs different reporting structure and fields. Easily configure your reports the way you want them. Highly Visual Reports: Create graphs, info-graphics, charts and much more to make the most out of your reports. Real-Time Progress Monitoring: Your dashboard allows you to see the real-time progress and health of your project portfolio. Easy Portfolio Management: With real-time view, quickly identify which project requires immediate attention and take appropriate actions by going in detailed view of that project. Trying to deliver a project on time without proper reports is as futile an exercise as a ship’s captain trying to reach a port without a working compass. You are bound to lose track and depend upon luck to reach your destination! So, utilize the power of a simple project management system to generate theses essential reports and utilize them to manage your projects efficiently. Which of the above reports have you used in your project management experience? David MillerDavid is a technical writer, his works are regularly published in various papers and top-notch portals. His rich experience in Project management domain helps him offer latest and fresh perspective on improved efficiency in work flows across organizations. His informative works on similar lines can be reached out on ProProfs Project.